Ronaldo is the co-editor of the Practical Guide to Canine and Feline Neurology (Dewey and da Costa, 2016), and the consulting editor of the Neurology Section of the 8thedition of Ettinger and Feldman’s Internal Medicine book and the Neurology Section Editor of Bonagura’s Current Veterinary Therapy, 16thedition. He was also the Guest Editor of Veterinary Clinics of North America on Spinal Diseases journal published in 2010. 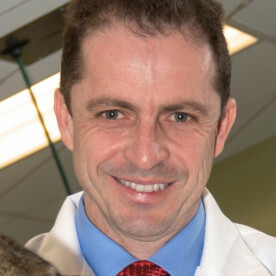 He is the President of the Brazilian Veterinary Neurology Association and has served in numerous committees in the US and internationally. He has an active clinical and research programme on spinal diseases and has published over 100 scientific articles and book chapters. Dr da Costa has received over thirty awards for research, teaching and academic excellence, including five teaching awards at The Ohio State University such as the Pfizer-Norden Teaching Excellence award (highest college teaching award) and the Excellence in Graduate Education Award twice.